Roadracing World’s new interactive website updates the most respected and trusted source in America for electronic delivery of news, features, videos and photos from the world of motorcycle road racing, track day riding and high performance sport riding. Starting from the updated home page, visitors can download digital wallpapers, share photos, create rider and racer profiles and select videos and articles about racing, track days and sport riding activities near them and around the world. Through the all-new, interactive Community and “Near You” sections of the site, visitors can customize their website experience to focus on the series, riders, shops, tracks, roads and regions that interest them. The new site is powered by Hookit, the most powerful digital marketing platform for athletes and sports-related companies and brands across the globe. “Though our mission is to support the athletes, we have the unique ability to leverage our digital platform to foster broader and deeper connections within the ecosystem of athletes, brands, media and events,” says Scott Tilton, Hookit CEO. “Roadracing World is an amazing source of news and information with a strong following in the road racing and sportbike communities. We jumped at the opportunity to partner up and lend our expertise and platform to bring their digital strategy to a new level.” “Roadracingworld.com delivers so much exciting, authoritative content that 86% of our readers already check the site three or four times per day,” said Roadracing World founder John Ulrich. “Now, working with Hookit, we’ve given our site a new and better look, feel and function to compliment its unique content. The new, interactive features will give readers even more reason to visit often, stay longer and get even more excited about everything to do with road racing, track day riding and high-performance sportbikes.” About Roadracing World Roadracing World & Motorcycle Technology is the leading motorcycle road racing and sportbike publication in America. For more than two decades, Roadracing World has covered everything from Grand Prix, World Superbike and AMA Pro to semi-pro, regional and local racing. From club tracks to the high banks at Daytona, Roadracing World has offered insight and analysis, and provided unmatched on-track testing and evaluation of new motorcycles and products that can only come from professional racers. The magazine is owned and edited by John Ulrich, who won his first road race in 1973 and his most recent in 2012, has earned journalism awards and who has dozens of race wins as well as multiple titles and records as a rider and as the owner of the longest-continuously-operating professional motorcycle road racing team in North America. Every regular contributor and staff writer for Roadracing World is an experienced road racer with wins and championships to their names, providing the reader with an insight that no other magazine can match. That experience is the foundation of an ability to tell BS and PR fluff from fact and a willingness to print the truth. For more information, visit www.roadracingworld.com. About Hookit Hookit is a powerful digital marketing platform for sports. 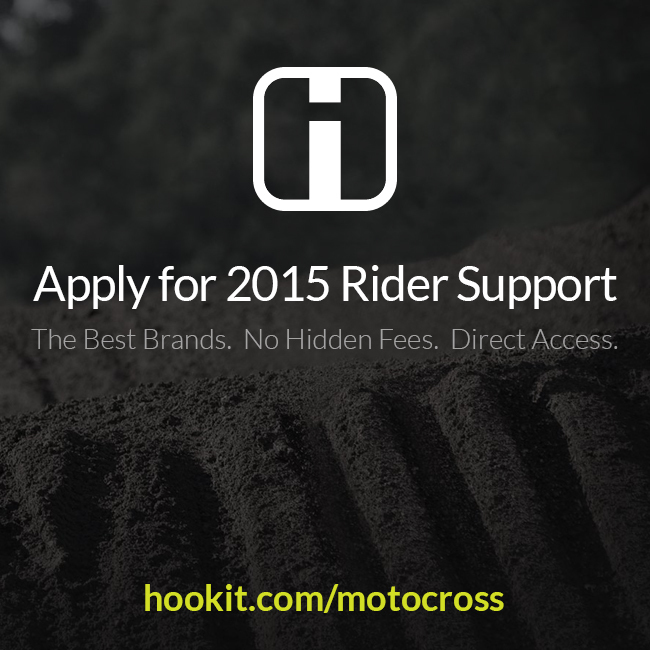 Monster Energy, Dunlop, SPY, GoPro, Yoshimura, Recon Tour, Roadracing World, TransWorld Media, Jeremy McGrath, Justin Barcia, Aaron Gwin, Ryan Guettler and over a million other athletes, brands, spots, events and media partners use Hookit. Hookit exists to support athletes by plugging them into our growing network. Join the Movement — find Hookit on your phone or www.hookit.com.